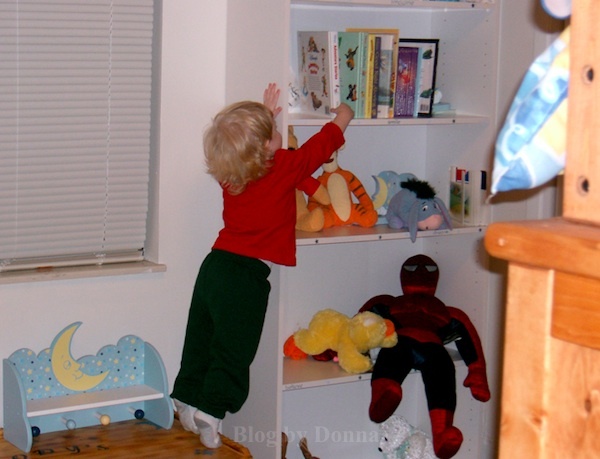 Yep, my little cutie (he was two) was standing on his toy chest and pulling off books. 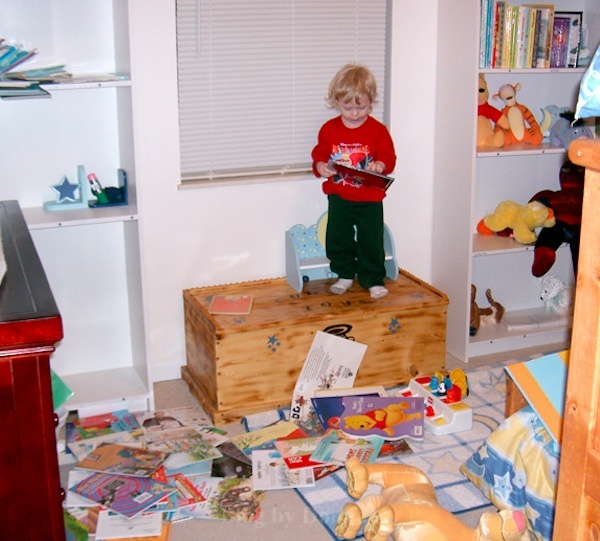 He has always loved books and he was so stinkin’ cute, I couldn’t get mad. So what else does a doting mother do… take pictures, of course. 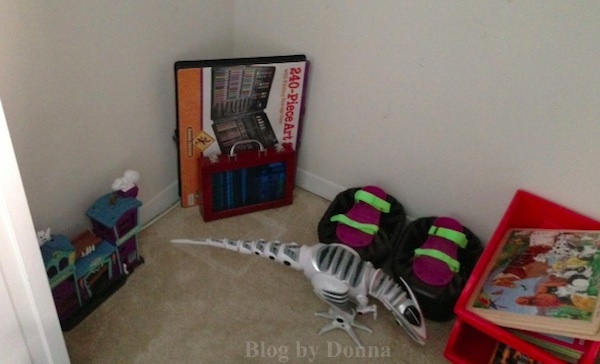 As I was saying, Cody’s playroom closet (his entire playroom, really) is a mess. Around this time every year I go through it to see if there are toys, etc., that are still in good shape that we can donate/give away. 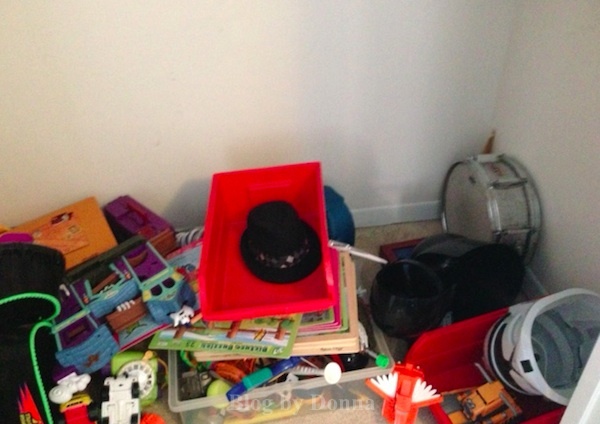 I’m glad (pun intended) to have Glad Black Trash bags for cleaning out his playroom. And if I don’t have any boxes, I use the trash bags to take the toys to Goodwill. I used all my empty boxes for the Salvation Army Stockings at school this year, so thank goodness for the trash bags. 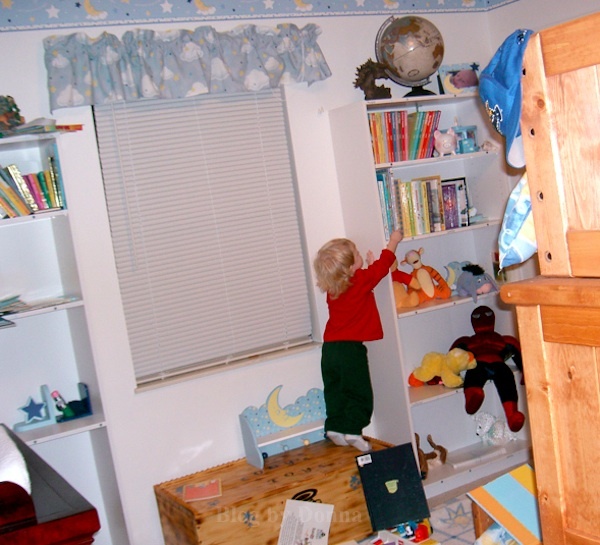 Going through our closets a couple times a year is a good way to keep down on clutter. 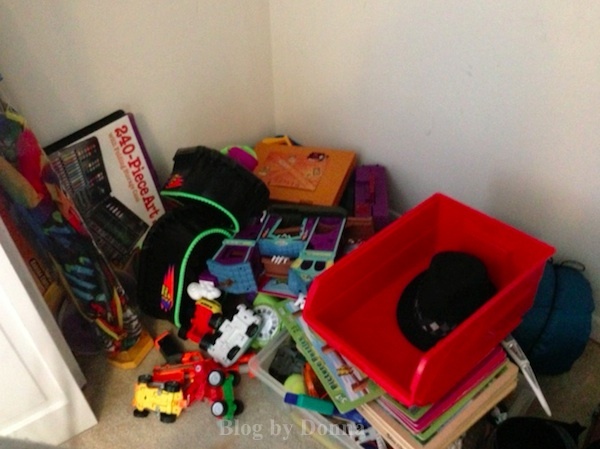 The sad thing is, I cleaned out his playroom closet in August for a yard sale. It was really embarrassing then. 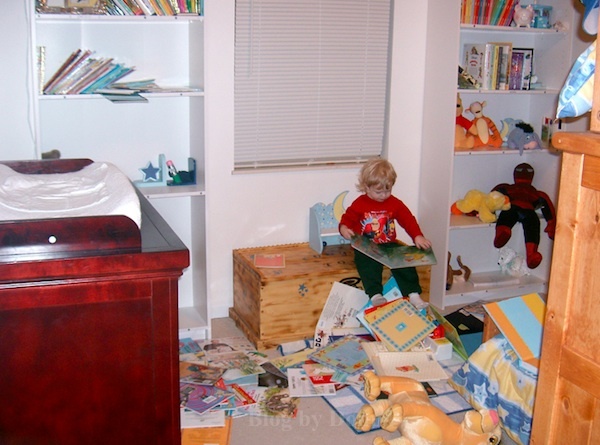 So as you can tell my son is a bit, messy. I keep telling myself, “He’s a boy. 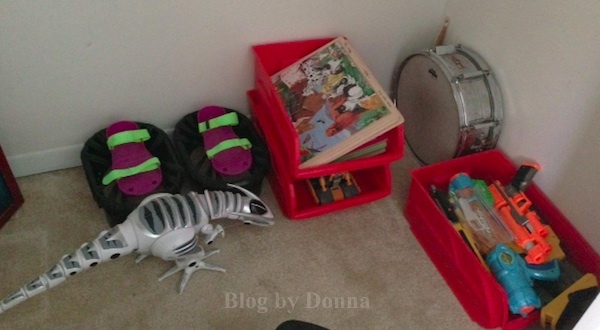 A kid.” And although I hate the messes… I wouldn’t change them for anything in the world. One day he will leave home, and I guarantee you, I’ll miss these messes. Anyway, as you can see I made use of my Glad trash bags. 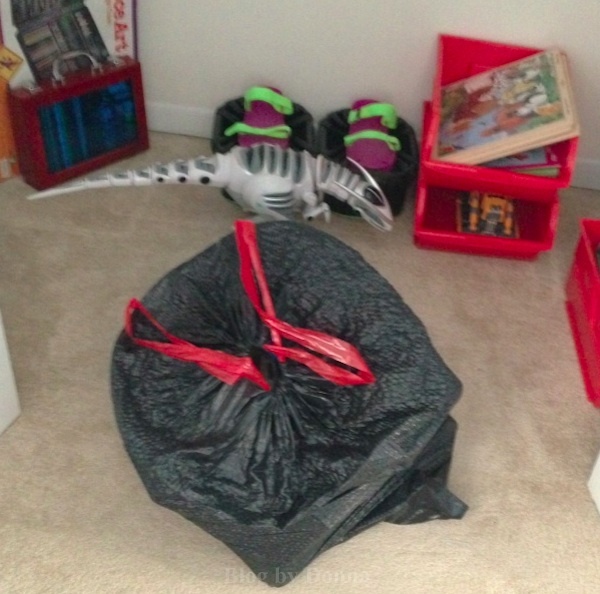 I need strong and sturdy trash bags, especially with some of the awkward shapes of the toys that went into the bag. Not to mention the bag was heavy. Now time to work on the garage… which will probably take three to four bags to clean up. Ugh! 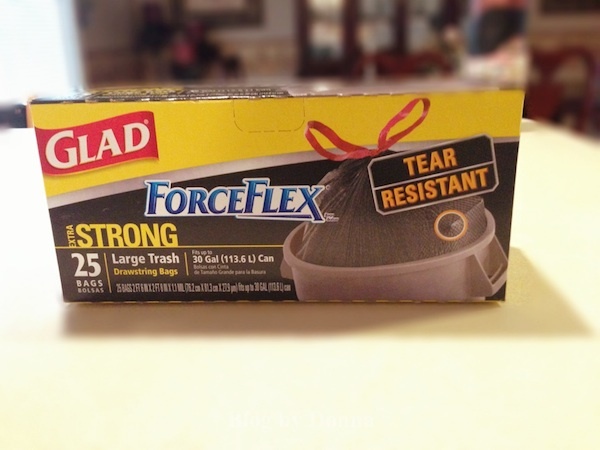 I appreciate Glad trash bags around the holidays, too. I may be hosting family on Christmas Eve, and need the trash bags to clean up all that mess from the gift opening. And that’s a mess I don’t mind. Check out the Glad “After the Wild Life” on Facebook and “like” the page as well as play the “Missing in the Mess” game. Oh we defintiely have our fair share of CRAZY moments at our house! I always have Glad trash bags to help me clean the messes up fast. Glad is probably the best bags I’ve used! I like the fact that they’re tear resistant! I am a big fan of these bags. They are truly STRONG. I used them today to carry a heavy load and it didn’t break! We love Glad. I won’t buy any other brand. That is the brand we use! I could not help but chuckle while reading about your little mess maker! It’s been many years ago for me, but the vivid memories are still there. I have always been a fan of a heavy duty trash bag. There’s nothing worse than having a bag rip and tear or having to double bag. My family uses Glad trash bags quite often. Thank you for this review! I use glad trashbags all the time. They are simply great for overstuffing.They work with anything I need to stuff into them, with no ripping. Thank for the giveaway and review.